Walmart employees pushing for higher wages announced on November 14 they were planning protests at 1,600 Walmart stores nationwide on Black Friday. 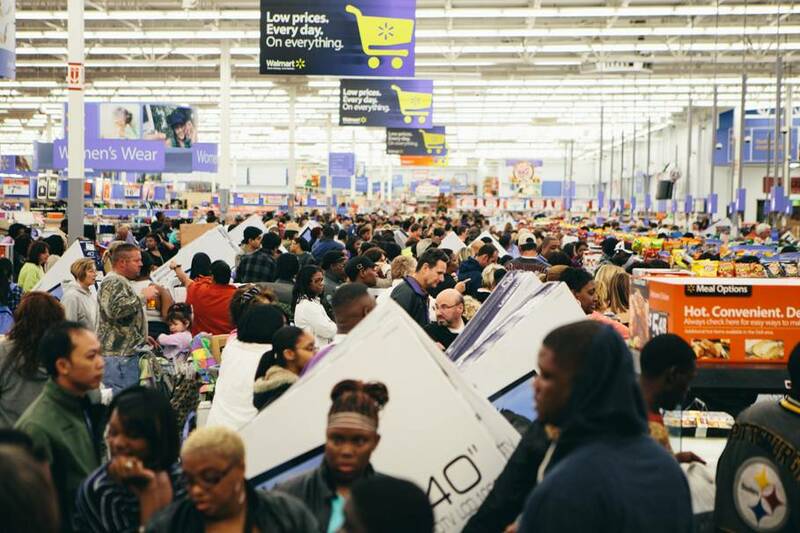 Black Friday is the biggest shopping day of the year in the United States. The labor group, Our Walmart, said it had protested 1,200 to 1,400 Walmart stores last year on Black Friday, the day after the Thanksgiving holiday. Wal-Mart Stores Inc, owner of Walmart brand stores, and the largest private employer in the United States, has been a target for activists in the contentious national debate over proposals to raise the minimum wage. The announcement comes a day after police arrested 23 people outside a Los Angeles-area Walmart protesting what they say are the company’s low wages and its retaliation against employees who pushed for better working conditions. The arrests on November 13 followed several hours of protest by a number of Walmart workers in California, according to Our Walmart and The United Food and Commercial Workers International Union, or UFCW. About 30 workers entered a Walmart store in the Crenshaw neighborhood of Los Angeles on Thursday morning and held a sit-down protest for two hours, UFCW spokesman Marc Goumbri said. The workers then protested at a Walmart store in Pico Rivera in eastern Los Angeles where the arrests eventually took place. Wal-Mart Stores Inc Chief Executive Douglas McMillon last month said the company would work to phase out minimum wage jobs “over time”, a move seen as largely symbolic as just 6,000 of its 1.3 million U.S. workers make minimum wage. The average full-time hourly wage at Walmart stores is $12.92, compared with the federal minimum wage of $7.25, according to the company.